Andrey Markov was a Russian mathematician who was born in 1856 in Ryazan at the time where Russia was an empire controlled by the Tsar. Markov was very ill during his early years and could only walk until he was 10 years old. When he was young, his family moved to Saint-Petersburg where he started to attend school. At only 17, Markov discovered a new possible way to solve linear differential equations which would later be called the Markov chain. 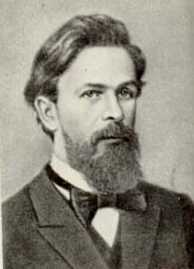 Few years later, Andrey Markov attended Saint-Petersburg University in the physics and mathematics faculty from which he graduated in 1878 with the gold medal, for submitting the best essay for the prize topic. He then worked for his Master’s degree (which at that time was equivalent to a doctorate) which he acquired in 1880. After being awarded his Master, Markov began to teach at the Saint-Petersburg University while working for his doctorate (which at that time was equivalent to the habilitation). He acquired his doctorate in 1884. For the rest of his life, Markov thought at the Saint-Petersburg University until he retired in 1905. Goldschmidt, Christina; Statistical Laboratory and Pembroke College, University of Cambridge, UK; C.Goldschmidt@statslab.cam.ac.uk, & Martin, James B.; CNRS and Université Paris 7, France; James.Martin@liafa.jussieu.fr. (2005). Random Recursive Trees and the Bolthausen-Sznitman Coalesent. Institute of Mathematical Statistics.